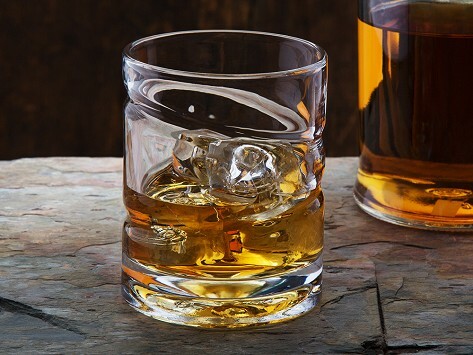 Sip from a spinning whiskey glass that does more than just look good (though it certainly does that). The base of this glass is designed to spin in place without toppling your drink. This creates an eye-catching effect with a purpose—the spinning action helps aerate whiskey, which opens up flavor and aroma. These whiskey glasses were for a male friend’s milestone birthday ! Look much more expensive & packaged in a way that is impressive! Bought two of these glasses for my grown son for his birthday. He loves them! Not only do they enhance the flavor of your favorite whiskey or bourbon, but they are a great topic of conversation...not to mention something to do with your hands! My adult son is enjoying this Christmas gift. Epicureanist created the Helix as a new spin on the traditional whiskey glass. It serves as a conversation piece, while it also does the job of enhancing your drinking experience.